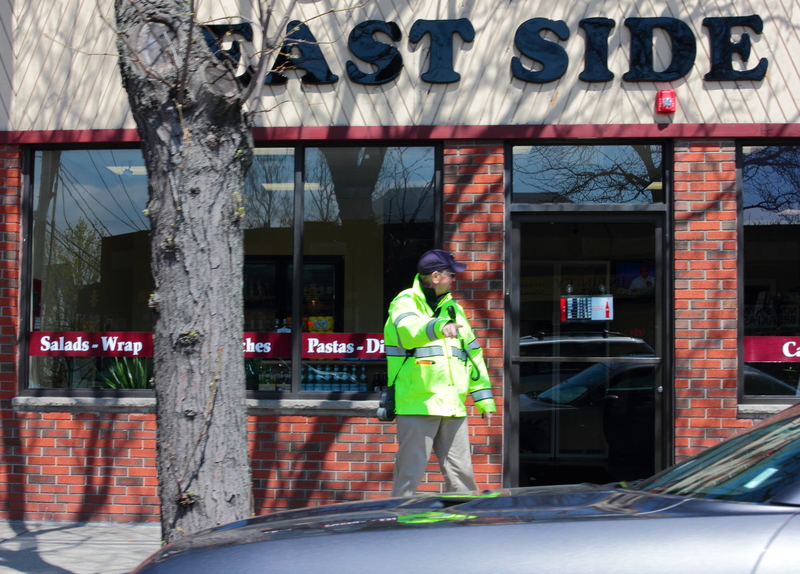 A traffic officer motions to a parked car as he yells to someone down the sidewalk outside of the new Anthony’s East Side Deli on Massachusetts Avenue. 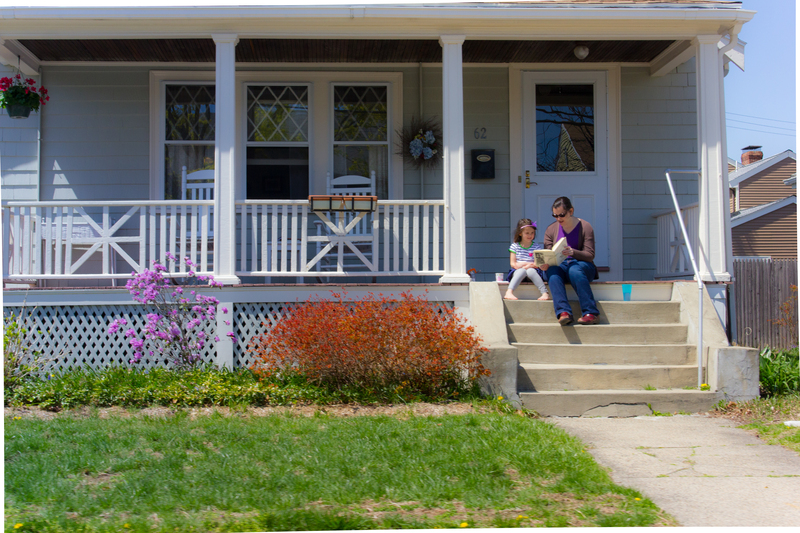 A woman reads to her daughter on the front porch of their East Arlington home while enjoying the beautiful weather of spring. 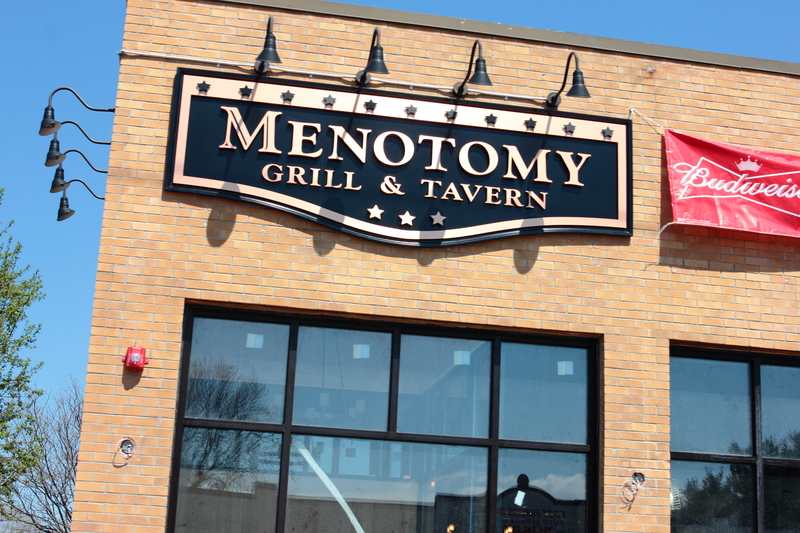 Progress is seen on the Menotomy Grill & Tavern in the building that once was home to video rental stores near the Arlington/Cambridge border. 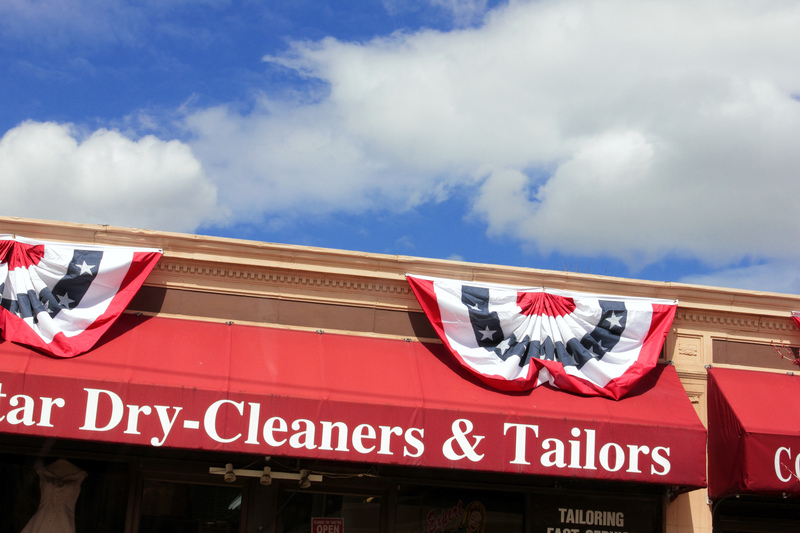 Bunting adorns businesses in Arlington Heights for Patriots’ Day weekend. 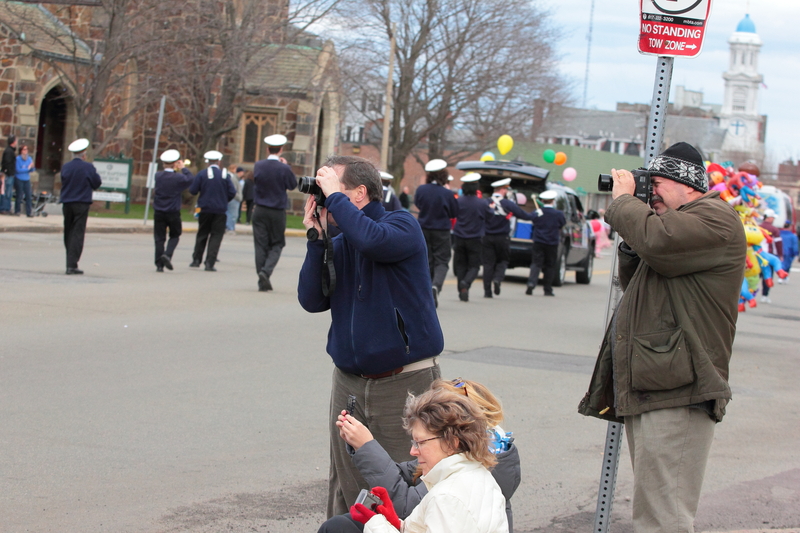 People snap their last photographs as the tail end of the Patriots’ Day parade passes by. 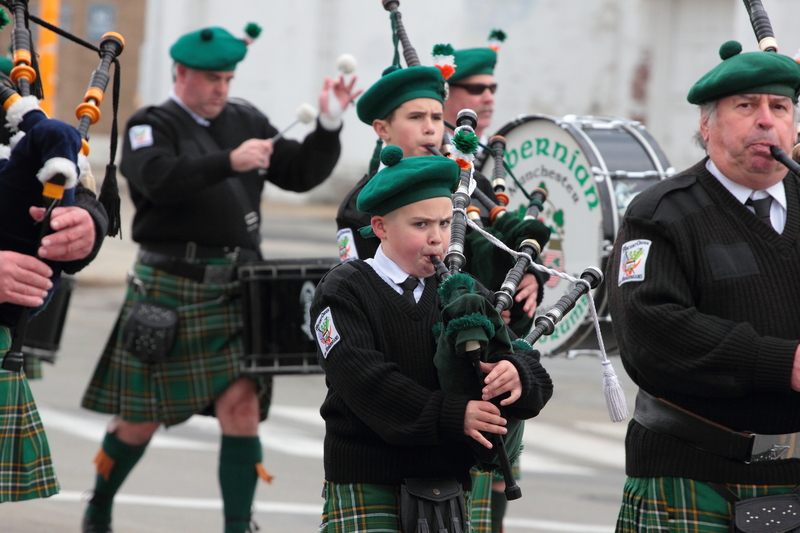 A young bagpiper marches with the Hibernian Pipes and Drums of Manchester New Hampshire in the Patriot’s Day parade. 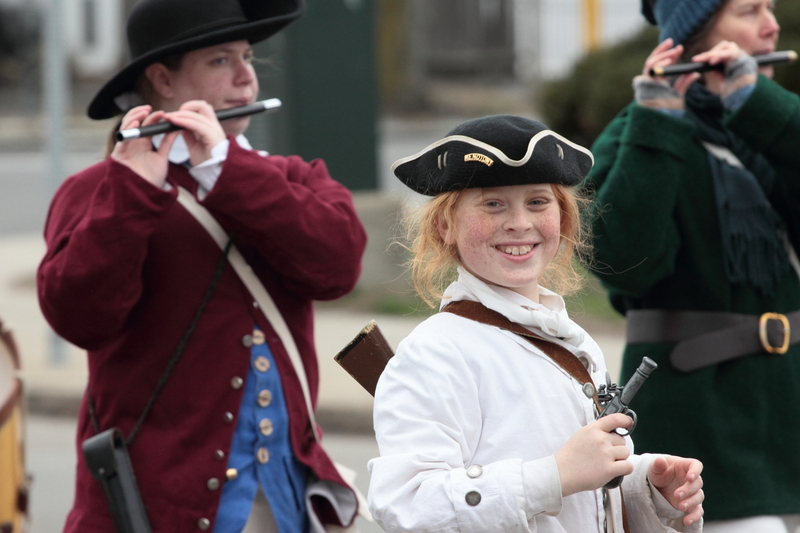 A member of the Menotomy Minutemen smiles as he processes down Massachusetts Avenue in the annual Patriots’ Day parade.